Whenever I go on a cooking bender, I turn to music to help keep me motivated. Sometimes it’s classical or jazz, especially if I’m baking. If I’m prepping for a party, it’s probably going to be something with an upbeat tempo, such as rock. Unless, of course, it’s my annual holiday party, and then only holiday music will do. I’m funny like that. 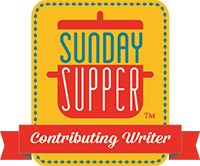 For this week’s #SundaySupper, Susan over at the Girl in the Little Red Kitchen is hosting virtual potluck of foods inspired by music, and I’m bringing this refreshing tangerine sorbet, inspired by Caviar’s Tangerine Speedo . The reason I chose this song is simple–I wanted something quirky and fun. In that regard, this loungy-rock song delivers. What I didn’t expect was to have it stuck in my head for days. Literally in a continuous loop, which led to some serious writer’s block. Every time I’d start working on this post, Tangerine Speedo would start playing in my head. Don’t get me wrong, I love the song, but it took some serious Zeppelin therapy to purge. In sticking with the theme, I simply listened to one of my Zeppelin favorites–Tangerine . Cleared everything right up. Now about this sorbet … did I mention how refreshing it is? Seriously, bright and fresh. Since using fresh tangerine juice is paramount, I picked up a bunch of Gold Nugget Tangerines, which are super plump and juicy. The recipe, which I’ve adapted from The Martha Stewart Cookbook is simple and provides the perfect finish to any meal. Have you ever seen such large tangerines? Get the peel grated, then start juicing. This is where having a citrus juicer comes in handy, ‘cuz doing this manually would have been a pain! 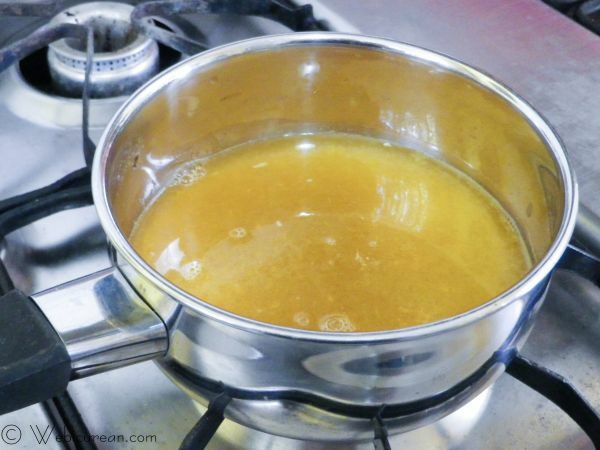 Heat up about 1/2 cup of the juice, and add the sugar–stirring until it’s dissolved. Remove this from the heat, and stir in the remaining juice along with the grated peel, then put in the fridge until thoroughly chilled. Prepare it in your ice cream maker following the manufacturer’s instructions. In case you’re wondering, this is the KitchenAid ice cream maker attachment, and it rocks. Enjoy a nice big bowl–not only is it tasty, but it’s healthy too (it is just juice, after all)! 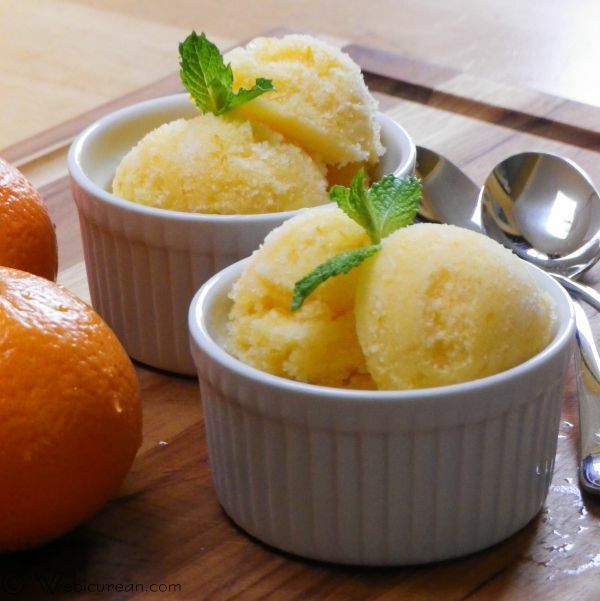 Light and refreshing, this tangerine sorbet is the perfect end to any meal. Heat ½ cup of the tangerine juice with the sugar, over low heat, until the sugar is dissolved. Remove from heat, and stir in the remaining juice along with the peel. Prepare in ice cream maker according to manufacturer's directions. Note: I earn a modest commission for any purchases made via the amazon.com links on this page. This looks like the perfect dessert for the weather we’ve been having lately. Awesome song choice as well. Reminding me that it has been far too long since I’ve enjoyed tangerine. Lovely frozen treat for summer! This looks so refreshing! My 3 year old literally just said he wanted to try an orange snow cone he saw on TV. This would be a much healthier version! 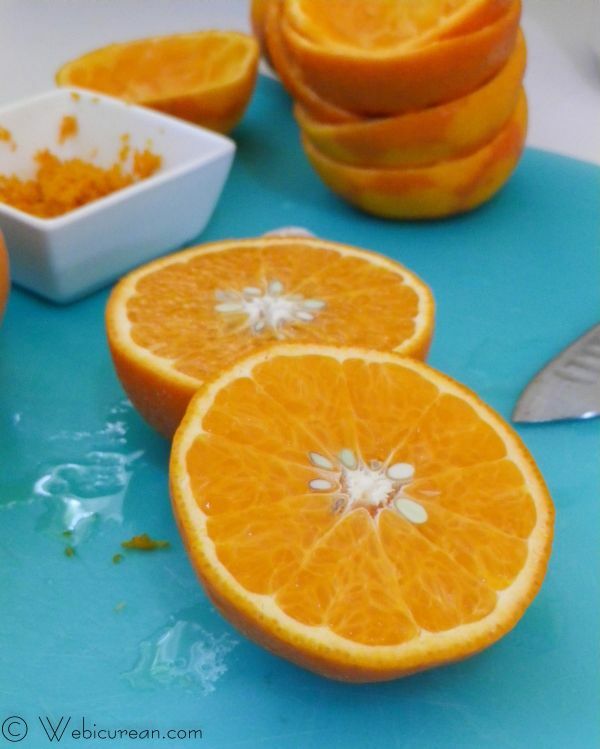 IsnÂ´t it amazing how simple tangerine sorbet is? One of my top three flavors! And canÂ´t go wrong with a Zeppelin song either. Gorgeous sorbet Anne! Where did you find such lovely tangerines? I’m having so much trouble finding good oranges lately. Love light, refreshing sorbets like this! Mmmm, and now for some reason I can only think of Tangerine Dream! Truly refreshing! I love citrus sorbets!!! Oh, this must be so refreshing and delicious! 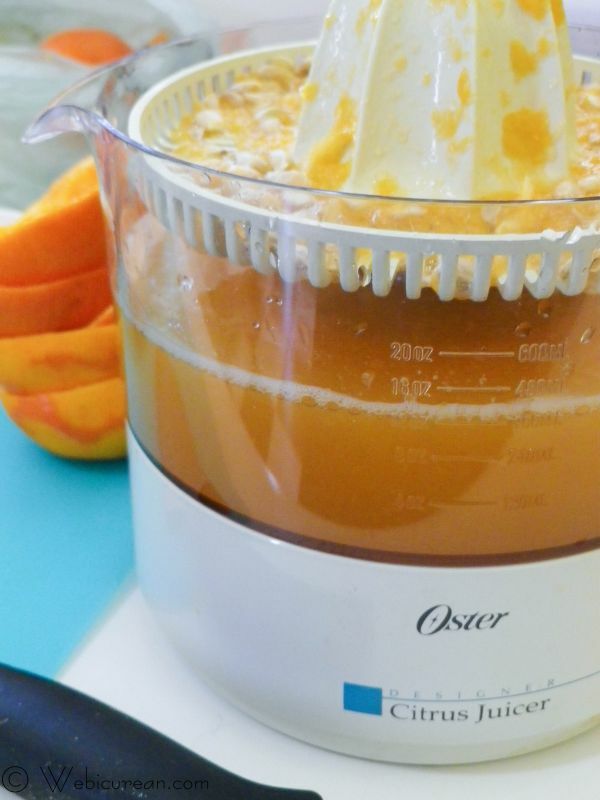 I’m in them market for a citrus juicer – do you like your Oster one? The Oster works great and has served me well! I don’t know whether they still make them though–this one must be about 20 yrs old! Love me some Zepplin!! That looks so very good, so refreshing, I haven’t done sorbet yet in my ice cream machine, what am I waiting for!!! I know I definitely can’t find tangerines that large in NY because if I did, I’d be all over them! What a great sorbet, looks so fresh and citrusy. 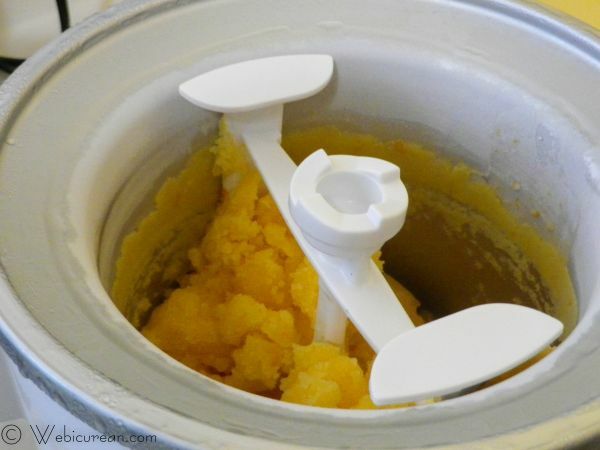 I love citrus sorbet and yours looks so good and refreshing! I need some of this during these hot, humid days in Florida! 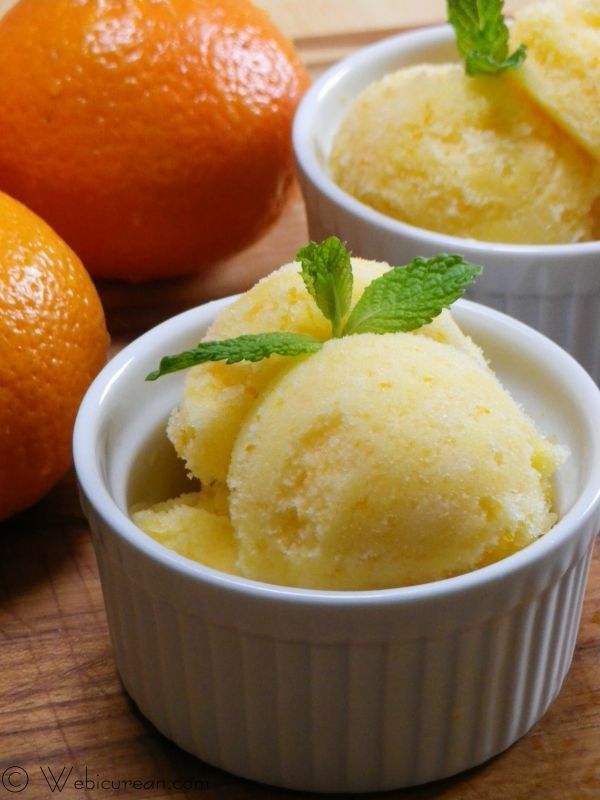 Citrus Sorbet sounds absolutely delicious right now! It’s been brutally hot this past week in FL and this recipe is the perfect way to cool down! This sorbet sounds amazing! Perfect for summer! Now I need to go in search of tangerines, I haven’t had one yet this year! This is exactly the kind of dessert I crave on those really hot, humid summer nights. Thanks for sharing! This is perfect for a hot summer day. It’s refreshing just looking at the pictures!